As shown in the above example, the exported excel sheet can be used to import stock taking and wastage with required modifications. 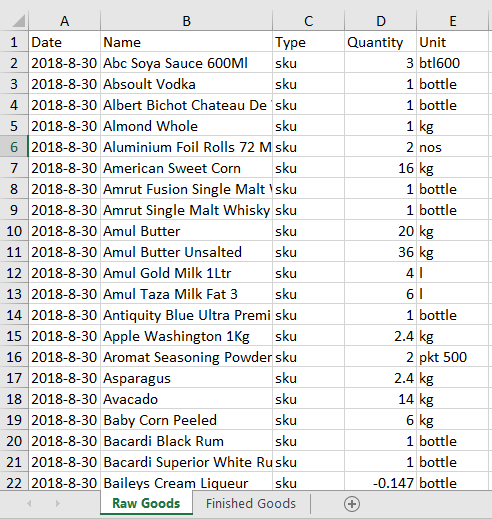 You can copy the data to a different excel sheet and after making the required changes, you can import the sheet for Stock taking and wastage. Click here for more detail on stock taking import. Click here for more detail on wastage import.